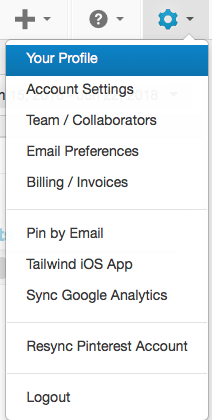 How do I change my Tailwind login email address? 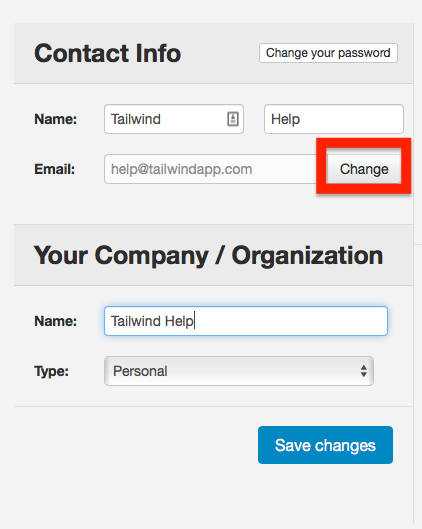 Changing your email address in Tailwind is easy, click the button or follow the steps listed! Go to your Your Profile (located in the settings menu in the top right hand navigation). 2. Click the "Change" button just to the right of your current email address. 3. Enter your new email address, confirm your password, and click "Change Email Address button" to save! Important: This does not change your Billing Email address, where you might get failed payment notifications. Please send us a message in chat to update for you!